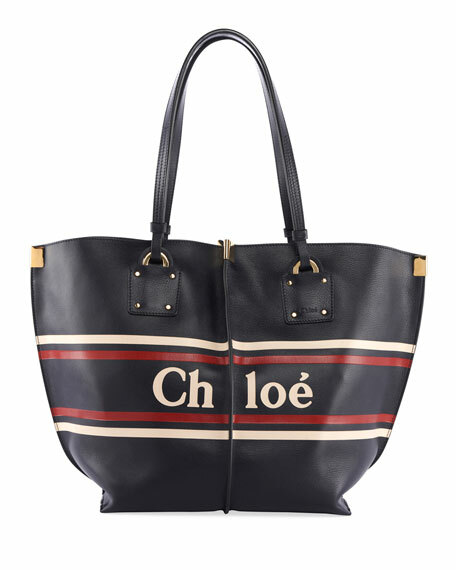 Chloe leather tote bag with logo and striping at front. Flat top handles anchored by rings. Open top. Exterior, reinforced edges. 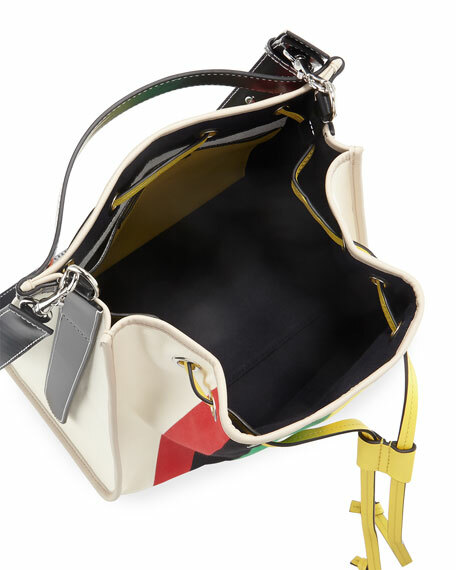 Interior, leashed zip pouch. 17.7"H x 21.3"W x 7.1"D. "Vick" is made in Italy. 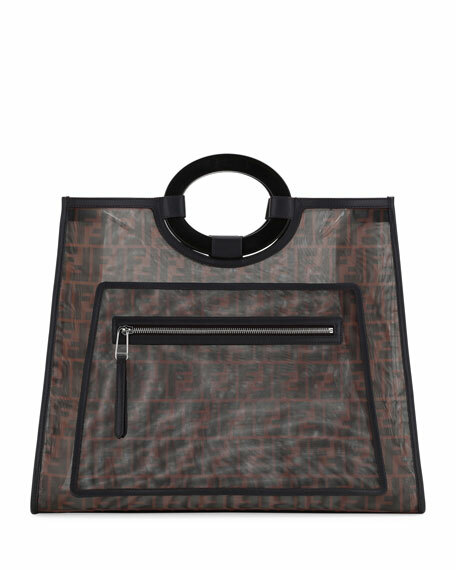 Fendi large shopping tote bag in FF-embossed mesh with leather trim. 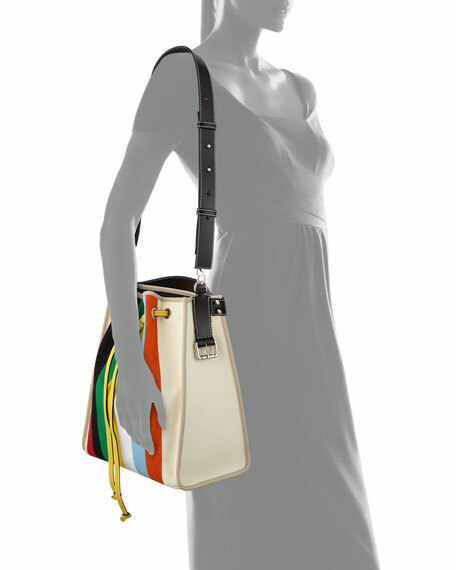 Round cutout top handles Removable shoulder strap. 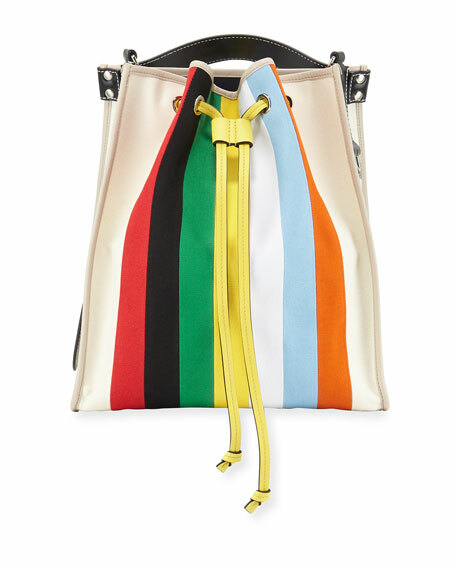 Open top; side snaps expand bag. Front zip pocket. 13.4"H x 17.3"W x 7.5"D. Made in Italy. 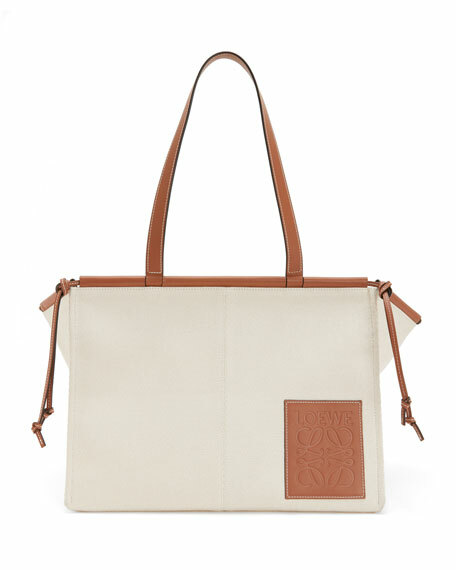 Loewe canvas tote bag with leather trim. 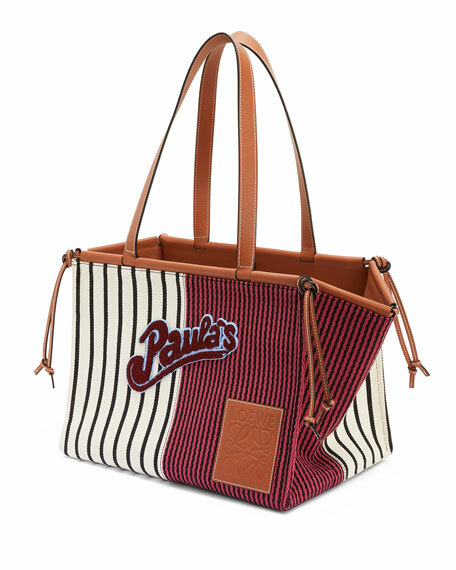 Designed in collaboration with Paula's Ibiza. Flat top handles. Convertible, framed open top; knotted ends. Self-tie center straps. Stamped logo patch at corner front. 11.8"H x 15"W x 11"D. Made in Portugal.